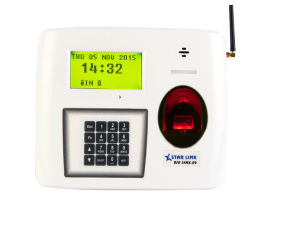 Bio Lynx is another masterpiece from Star Link that serve its purpose of attendance perfectly. It helps to manage the work force properly and allows you to have a look on the exact working time of employees. It features capacity storage of 5,00,000 records while 9560 finger templates can be stored in it. For double layer security, an external color VGA camera interface can be connected through USB port. The Bio-Lynx features multiple communication modes like RS-232, USB TCP/IP, GPRS (through GSM/CDMA SIM connection) and Wi-fi; which allows the user to get the data easily on a single click of mouse. This device is also enabled with GPS to provide the navigational details of the device for proper mobile workforce management. Useful for managing every purpose of workforce, Bio-Lynx is perfect device helping you by increasing the productivity of your firm. Bio-Lynx is a versatile device which can be used at any kind of set-up and work place. Bio-Lynx device is also enabled with data push technology. 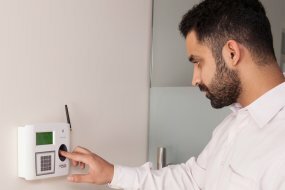 This device comes with LCD that displays the details of the employees, while a voice message provides the confirmation about the attendance. Bio-Lynx can also be customized according to the requirement of the client. Audio Indicators:Voice Guided message (Adjustable volume).